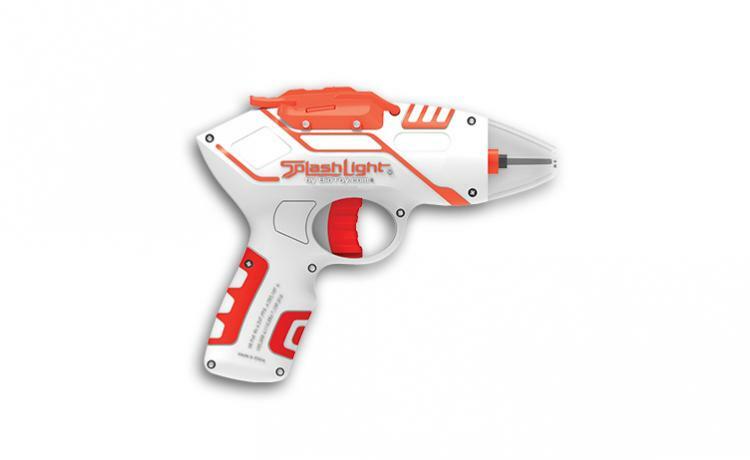 Unlike glow-in-the-dark squirt-guns that actually glow in the dark for night-time water fights, this water gun actually makes the water that you shoot from the gun glow-in-the-dark, so that as you shoot it, you can clearly see the water coming from the gun. Even after the water has left the gun it will remain glowing in the dark for a few minutes. 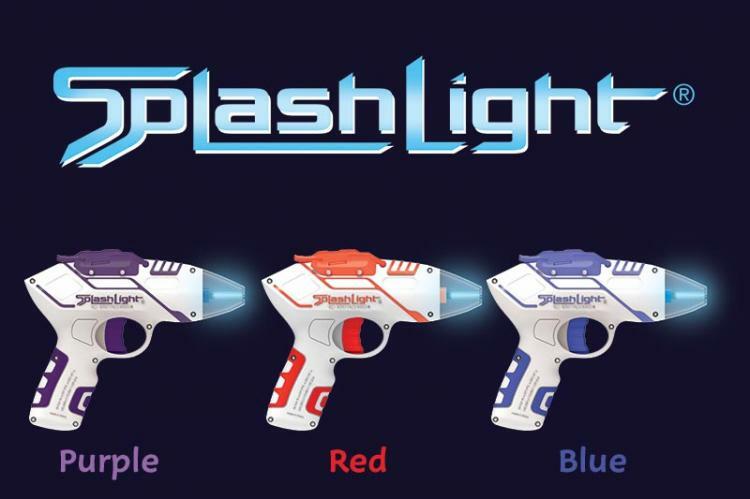 The way it works is the gun adds natural bio-luminescent proteins to the water that is completely non-toxic and harmless, which allows the tap water you add to the gun to glow in the dark. 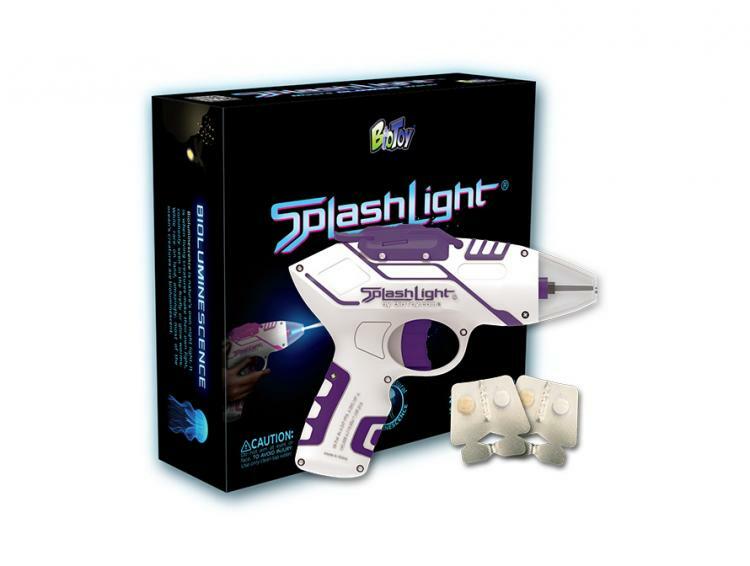 The Spashlight as so it's called, allows you to shoot the glowing water up to 12 feet in distance and offers up to 200 blasts of glowing water with each tablet. 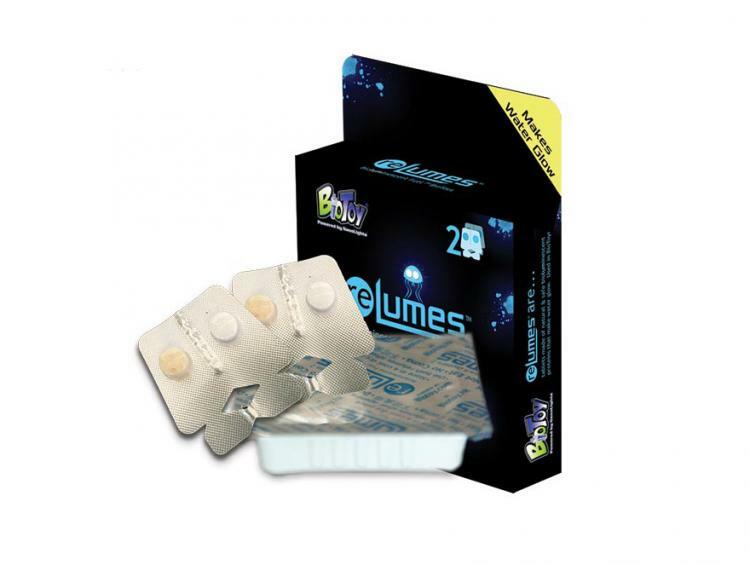 To use it, simply load the gun up with regular tap-water, and load the bio-luminescent tablet into the chamber. 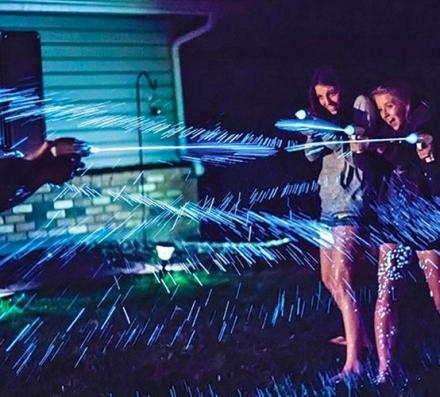 Then with each pull of the trigger the water will mix with the tablet and blast out glowing water. 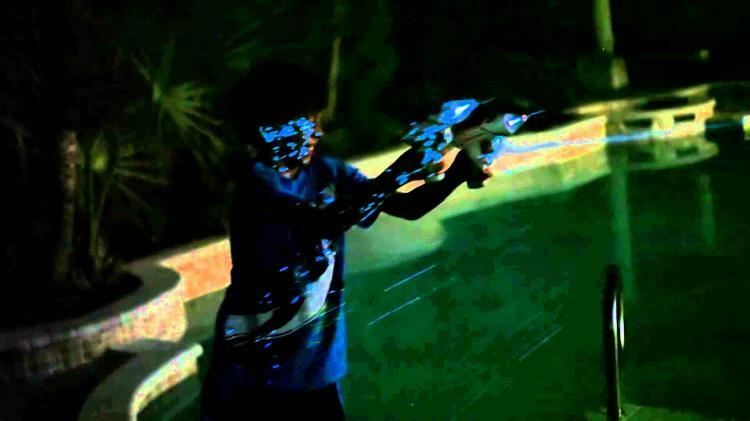 The glow in the dark water squirt gun is not recommended to squirt in eyes or the face, you should use clean tap-water to fill the squirt gun, fires over 12 feet in distance, is non-toxic and washable, comes in a few different colors to choose from, and offers up to 200 blasts with each glowing tablet. Check out the Spashlight glowing water squirt gun in action via the video below.